Solution Capacity LLC. 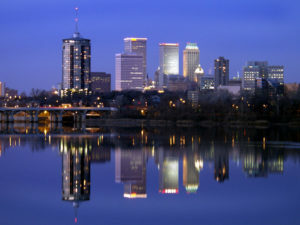 is Tulsa’s Premier Home & Business IT Support Provider. It all started by helping our friends and family with their I.T. issues growing up. After our first customers learned of our ability to fulfill commitments and solve problems they asked us to expand our offerings. Word spread; and referrals starting coming in for more complicated and commercial-focused projects. Since then, we’ve installed surveillance systems, access control, digital signage, and even built custom software. Surprised by the lack of reputable service providers in the Tulsa area, we quickly discovered there was an undeserved market of business-focused service providers. We found clients that desperately wanted projects run to ground in a timely manner. Someone that was willing to take the time to “do it right the first time.” Someone they could trust. That’s where we fit in. Solution Capacity LLC. was officially founded in 2013 to serve the Greater Tulsa area. We chose to classify the company as a consulting provider to allow broad flexibility in our offerings. We bring relatable skills to the table with strong knowledge bases in Information Technology, Systems Administration, Project Management, and Industrial Engineering. We leverage these key skills to provide innovation, solve problems, and relentlessly provide top-notch solutions to our clients. No other company will go further to exceed your expectations and strive to constantly surprise you with our effectiveness. Simply put, we can help. A customer’s trust is never assumed, it is earned. We take that seriously, and provide all of our services in a professional manner that stands to the highest scrutiny.